“Varjak Paw”, the award-winning fantasy novel by SF Said, has been optioned by The Jim Henson Company to be developed as an animated family feature film. Dave McKean, illustrator of the book and director of Henson’s most recent feature “MirrorMask,” is attached to direct. McKean and Said will co-write the screenplay. 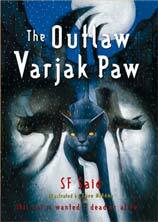 The deal also includes an option on “The Outlaw Varjak Paw”, the second book in the series that was recently released. The announcement was made today by Lisa Henson, co-CEO of The Jim Henson Company and a producer on the film. “Varjak Paw” is a story about a Mesopotamian blue kitten who embarks on a journey to save his family and in the process discovers he is part of a mystical tradition of magical martial arts. The book, which is popular with both boys and girls across several age demographics, was originally published in 2003 by David Fickling Books at Random House and won the Nestlé Book Prize Gold Medal that year. Said and McKean will Executive Produce the film. Jason Lust, Senior Vice President of Feature Films at Henson will lead the development process. No studio is yet attached. 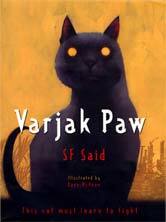 "This is the best thing that could have happened to ‘Varjak Paw,’” commented SF Said. “Many of the book's inspirations were cinematic - from old martial arts movies to ‘The Matrix’ - and Varjak fans are always asking if there'll be a film. Now we have a chance to make an amazing movie for them, and for everyone who hasn't yet met the Kung Fu cat. I'm so thrilled to be working with Dave McKean, whose art is such an integral part of the books, and with The Jim Henson Company. It's a dream come true!"